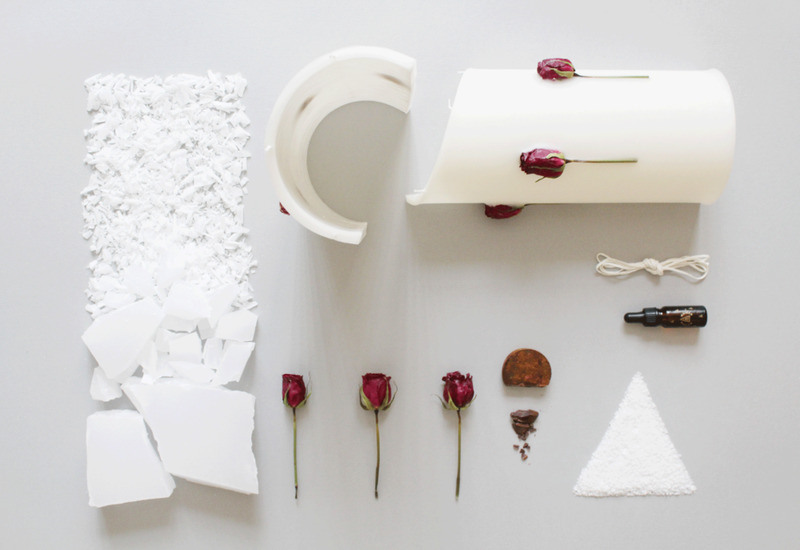 Maiden is a candle brand with global ambitions built from the simplicity and the notion of natural beauty. Supreme—DBA landed the assignment of rejuvenating Maiden's brand. The global candle industry is saturated with brands from the big market dominating FMCG players. The challenge for Maiden was to create their own place in the market. 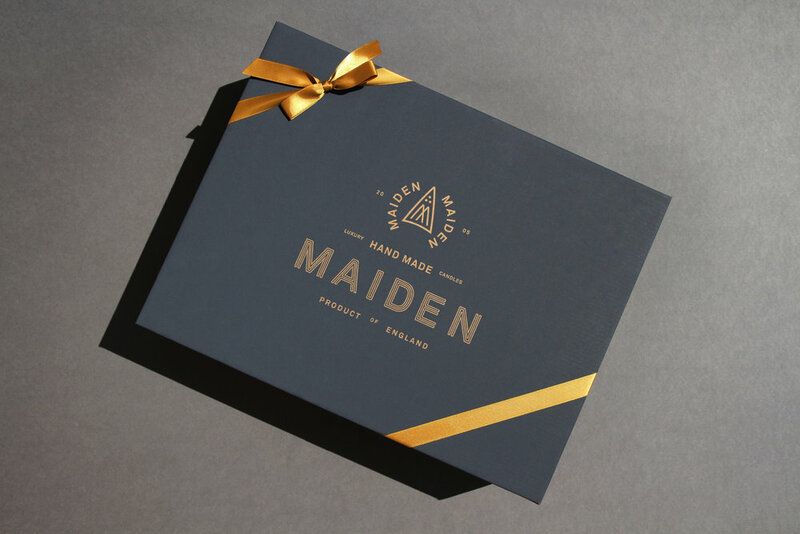 Building on Maiden's British legacy of simplicity, quality and consciousness became a natural starting point for Maiden's updated brand identity and visual communications — with the new mature direction it has become perfectly positioned to achieve great things. While a brand is an intangible asset, brand identity; which includes all tangible expression from packaging to websites, should uphold the same value. Time spent in the beginning designing and developing the brand architecture, touch points, shelf presence and longevity is a worthwhile investment — Maiden produce a collection of candles with outstanding form, that is luxurious and purposeful in design. 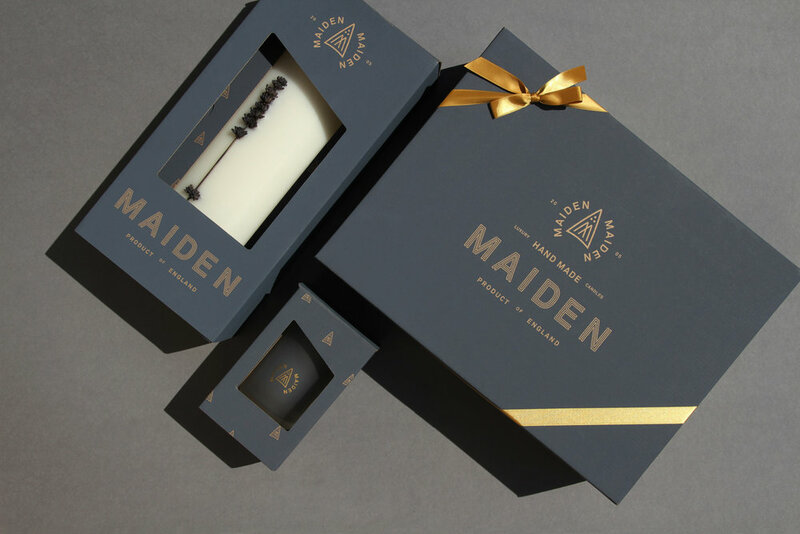 With this fusion of innovative design and bold ideas, Maiden’s candles are formatted as a series of styles that build from the curve model. Supreme—DBA created a brand identity comprising of simplistic elements – a sophisticated and detailed word-mark, contemporary typography and a modest, deep navy hue, traditional in feel, but with a dramatic contemporary finish. 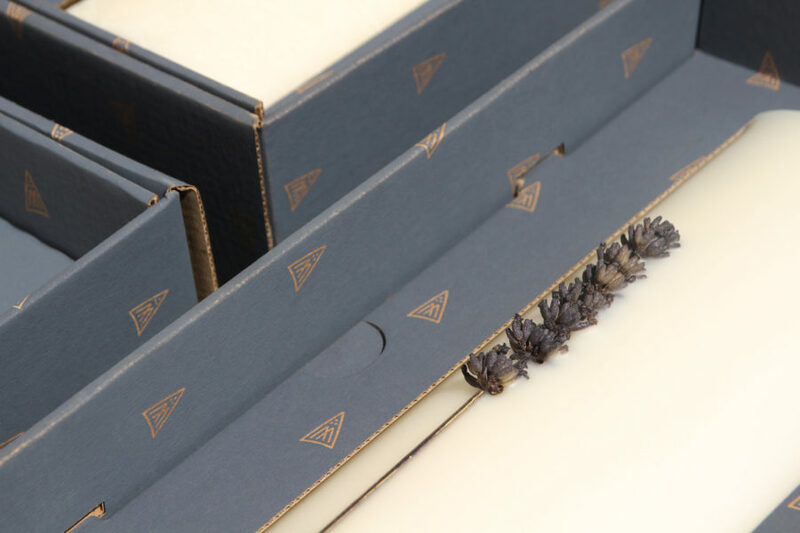 The colour was the foundation for the packaging system, individual products and the brand feel. Maiden is now able to voice externally it's meaning, methodology, process, beliefs and ethos, that will be echoed in their visual communications — Both through its identity on and off-line. The new concept has already gained great success from wholesale and amongst consumers – both in the English home market and in Europe. These prioritised markets are the launch pad for further global growth. 'Maiden is a thoroughly modern British company, pioneering and creating meaningful experiences with a sophisticated approach to improving on, and making our lives happier'.